As part of its mission, the Duke Human Rights Center at the Franklin Humanities Institute sees the history of the American South as integral to its practice and study of human rights. Even as some of the worst abuses of slavery and segregation took place in this region, it was also the cradle of robust and effective rights activism, which continues to inspire contemporary leaders. 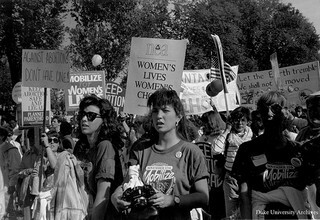 From South Africa to Burma, Northern Ireland and beyond, the thinking, techniques and examples of Americans like Dr. Martin Luther King, Jr., Durham native Floyd McKissick and many others continues to inform rights movements. At the same time, examining the role and actions of major institutions like Duke in the context of abuses is a key critical exercise in understanding how individuals, groups and societies can turn a blind eye to or contribute to abuses or take action to end them. 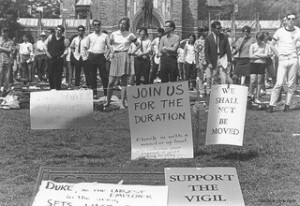 Duke has also been home to scholars and activists in human rights, among them Genocide Convention author Rafael Lemkin and Dr. Peter Storey, who co-chaired the regional Peace Accord structures intervening in political violence before South Africa’s first democratic elections and was appointed by President Nelson Mandela to help select the nation’s Truth and Reconciliation Commission.